Convex bodies are at once simple and amazingly rich in structure. 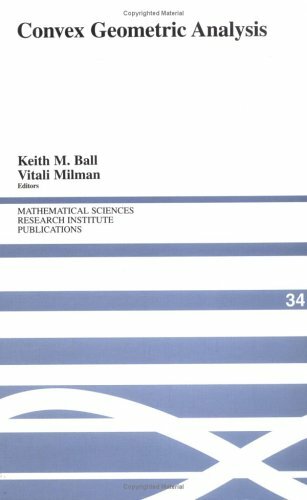 This collection involves researchers in classical convex geometry, geometric functional analysis, computational geometry, and related areas of harmonic analysis. It is representative of the best research in a very active field that brings together ideas from several major strands in mathematics.